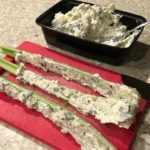 We’re back with another keto friendly recipe to help you stay on track! This recipe hits the nail on the head when it comes to satisfying the sharpest sweet tooth (with a spicy kick!). 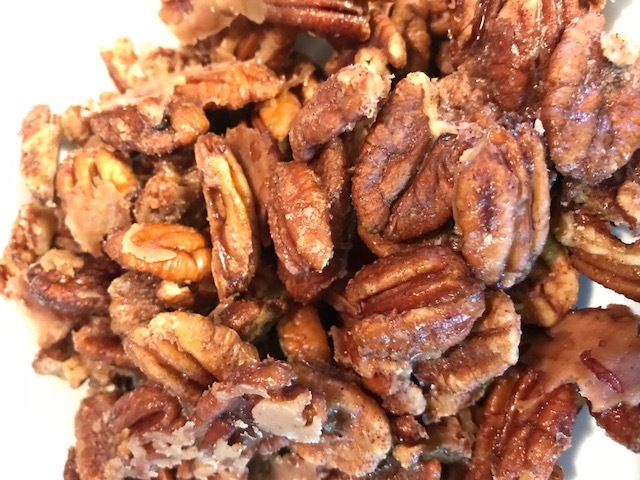 With a blend of zero GI keto approved sweeteners, natural flavors from your favorite classic seasonings and spices, and a kick of heat, these low carb spicy candied pecans are sure to become your new favorite snack! You can use any type of nut you prefer for this recipe, but generally it’s best to stick to minimally processed nuts. When you get raw or minimally processed nuts, you don’t get the added preservatives, salt, starch or sugar sometimes found in packaged foods. Finding minimally processed foods is easier than you think! Reading labels goes a long way and is the easiest way to determine what you’re actually eating. Pro Tip: if you’re unsure of what an ingredient is, Google it! 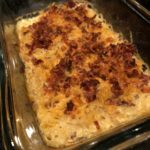 This sweet and spicy recipe is popular in my house year round and always hits the spot when the need for something sweet (but with a kick) hits me. 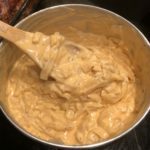 Naturally, this sweet & spicy treat is perfect for the holidays and can easily be incorporated into as a topping for other keto dessert recipes (think cheesecake!). But if you’re like me, your sweet tooth goes beyond the holiday season and must be kept in check year-round. 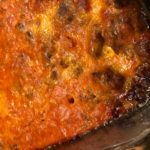 Thankfully this recipe is high in healthy fats and extremely low in carbs. If you are sensitive to spice, feel free to leave out the pepper, and add a extra tablespoon of vanilla extract. This will create a more traditional candy coded snack you’re accustomed to. The lowest-carb nuts are pecans, walnuts and macadamia nuts. 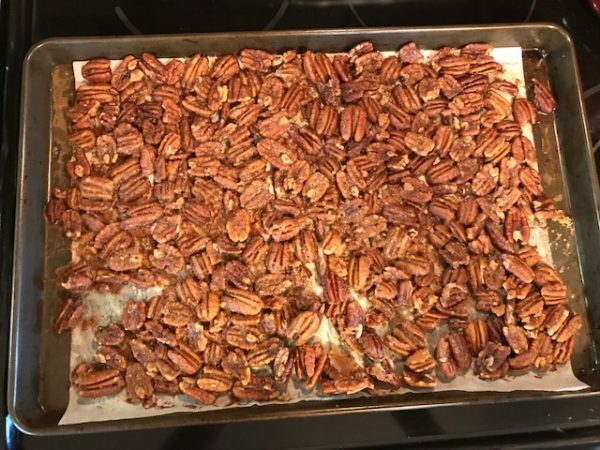 Because they’re extremely low in carbs, pecans are one of the big-3 tree nuts you’ll want to stick to on a keto diet. 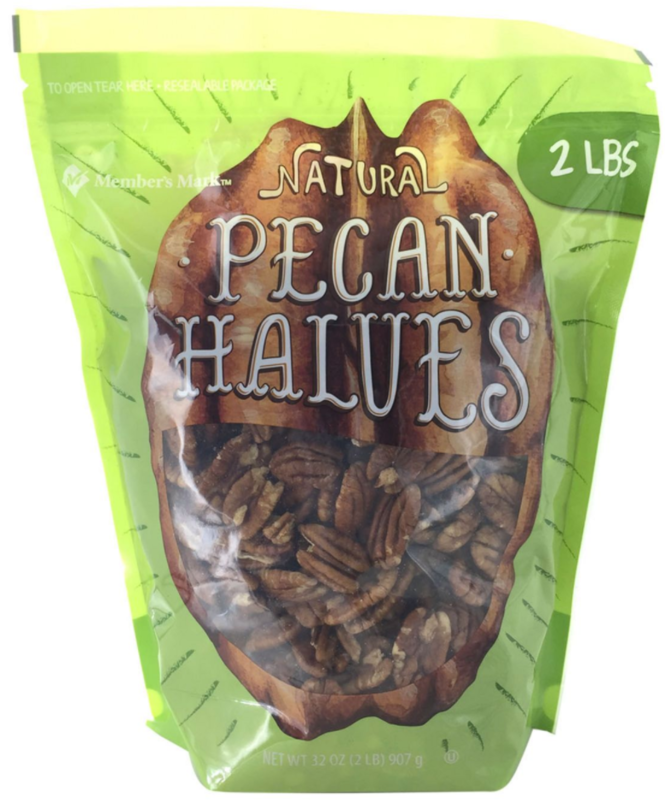 Pecans only have about 1 net carb per ¼ cup, and are packed with nutrients and healthy fats! 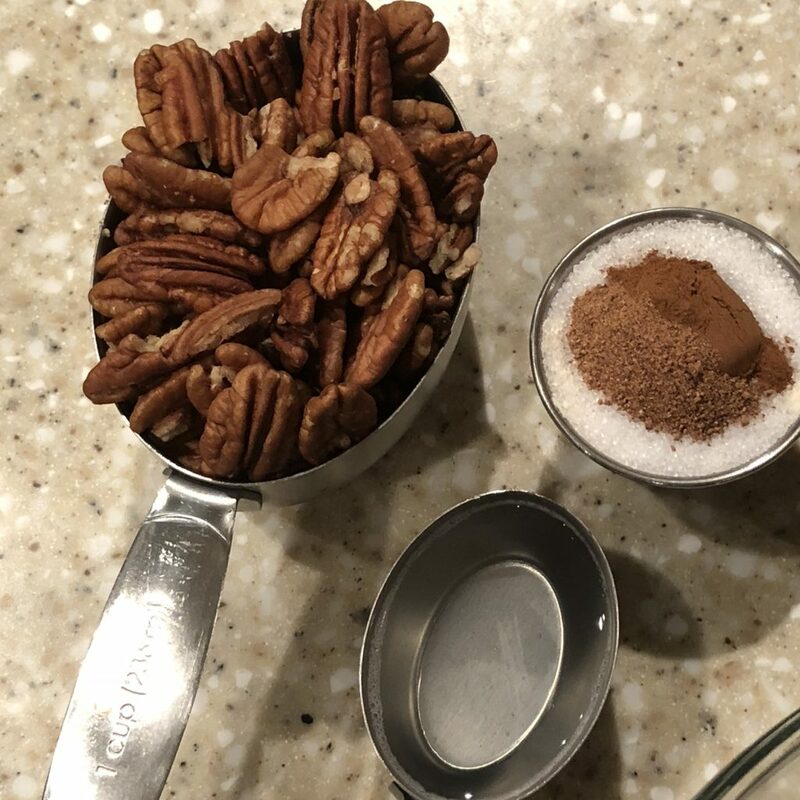 If pecans don’t fit into your grocery budget, try almonds. Pro Tip: when buying tree nuts, compare the ingredients of different brands. 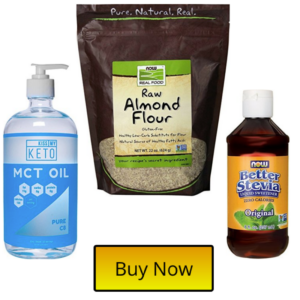 You’ll be surprised at the additives some food manufacturers put in foods (which add to the total net carb count). Go organic or natural when you can! 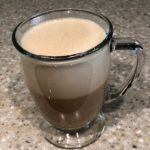 I like to get my pecans from Sam’s Club, but there are a few Amazon options that are still a great deal! 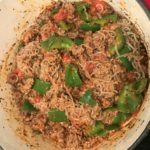 I’ve brought this recipe to many get-togethers and never have any issues with bring leftovers home. 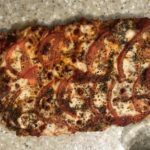 It’s always interesting to explain this recipe to people following the standard American diet; the look on their faces when they’ve learned this recipe is 100% sugar free never gets old! 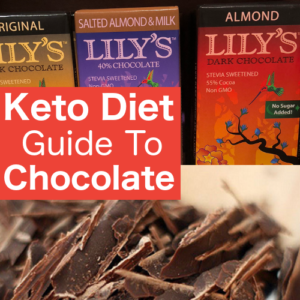 Also, bringing this sweet & spicy treat to any gathering could help you fight off the urge to indulge in some not-so-keto-friendly food items! Pro tip: make a double recipe so you have leftovers for yourself to enjoy! 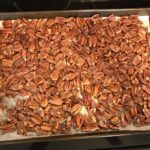 This low carb, sweet & spicy candied pecan recipe comes together quickly and has only a few ingredients. It’s as easy as 1, 2, 3: melt the butter, mix the ingredients & bake. 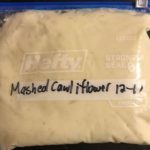 Store in an airtight container on the countertop & enjoy! 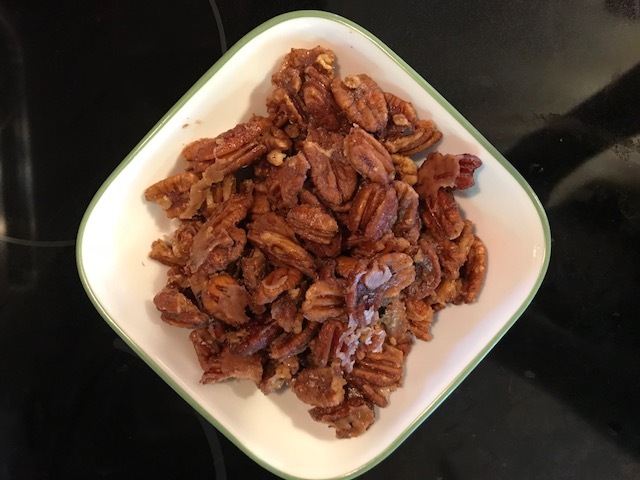 These toasted candied pecans are perfect for any holiday party!